A perfect way to start your day is with a yummy pre-made breakfast. 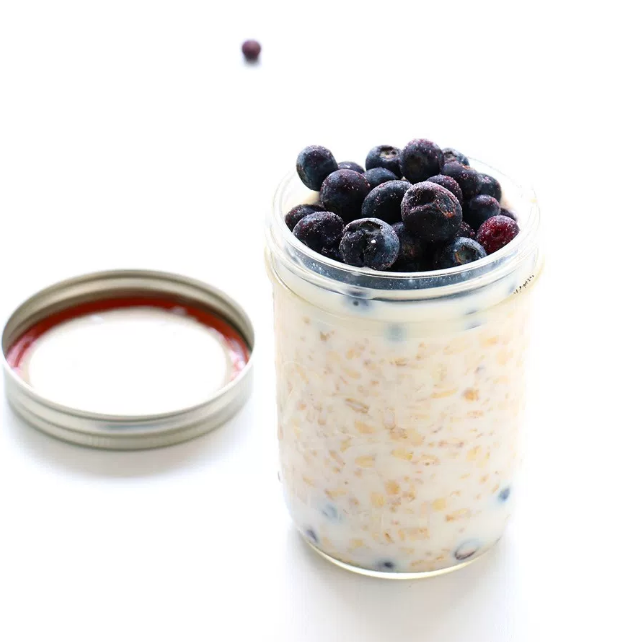 Take all the rush out of your morning routine and grab your Creamy Blueberry Oats from the refridgerator and you will be on your way. You can use fresh or frozen blueberries. You can find this delicous recipe on the website of Baking-Ginger.